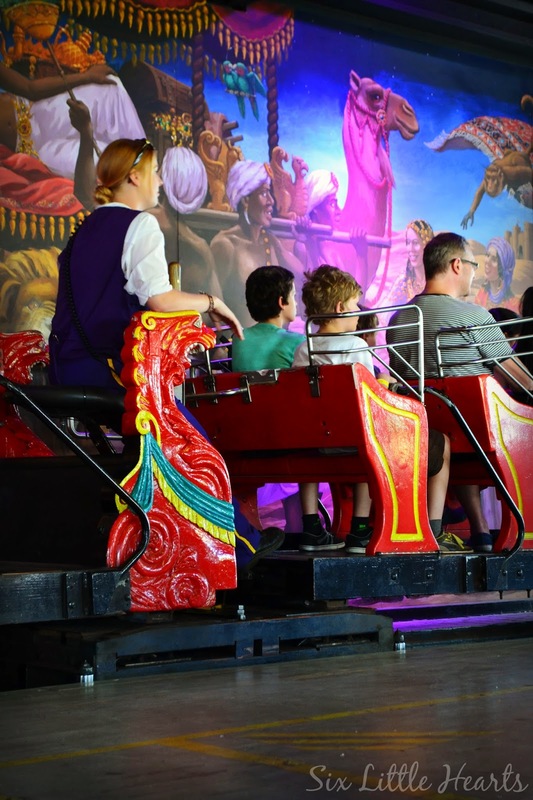 Six Little Hearts: Luna Park Melbourne Review Plus Win a Family Pass! When the big day arrived, the kids were pumped with excitement and not quite sure what to expect other than holding onto the basic knowledge that we were visiting a theme park they had only ever seen and heard about. Oh the joy! : That was pretty much enough to go by for them! At the park's entrance, we were each issued with all-day ride passes, (in the form of bracelets), giving us the unlimited opportunity to try out absolutely everything as much as we liked. I am just going to jump straight in here and say that Luna Park is absolutely, totally awesome! We have honestly not had this much fun, (nor were we expecting to) in ages. Why is this place so wonderful? Why had we not been for decades? Seriously, we found ourselves glancing at one another all day, through looks of disbelief and awe. The fun and vibrancy of this park had been totally overlooked by us before now. 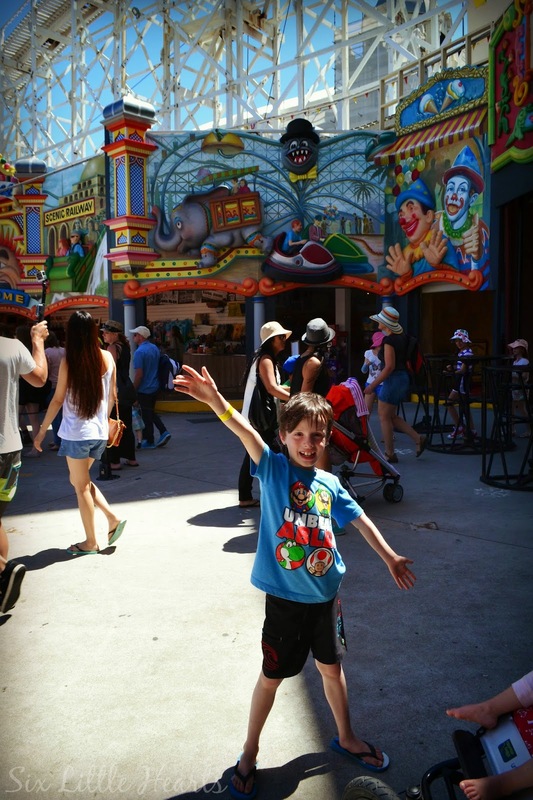 Luna Park, we had simply forgotten you and now we're well and truly hooked. 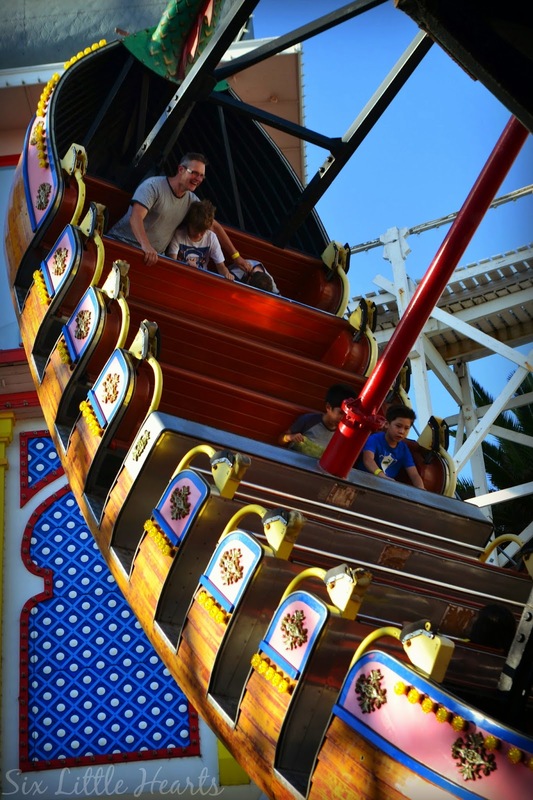 Luna Park's magic lies in its nostalgia. The park has a quaintness, beauty and a simple thrill that is altogether missing at other amusement venues we have visited. 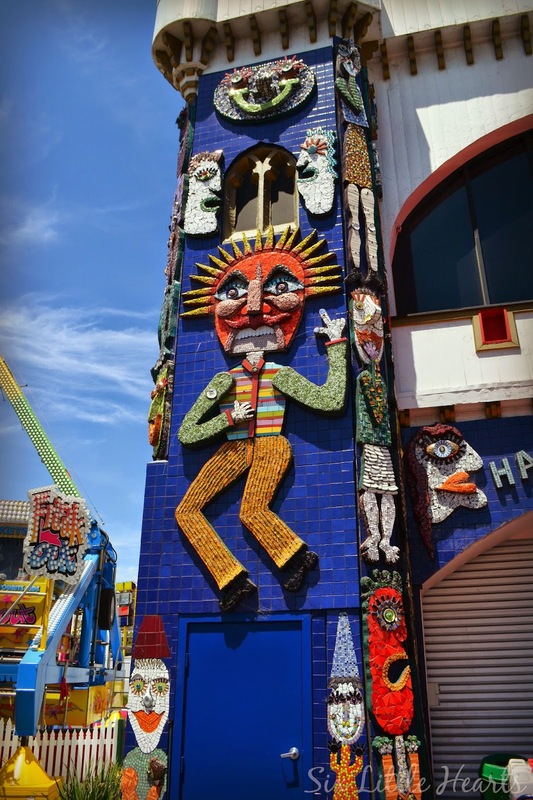 It has artistic flair, history and a uniquely Melbourne flavour that just draws you in. Initially our kids were gobsmacked and unable to make a firm decision on which ride to visit first. Admittedly, so were we! There was just so much to take in and do and on the beautiful sunny day we attended, there were a huge number of visitors at the park too. 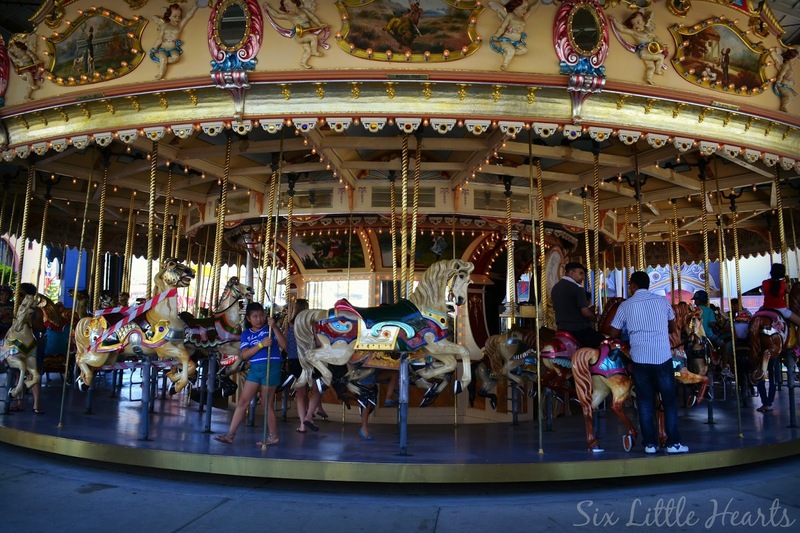 The carousel today is one of only 25 still in operation in the world and was the only carousel ever exported by the company. 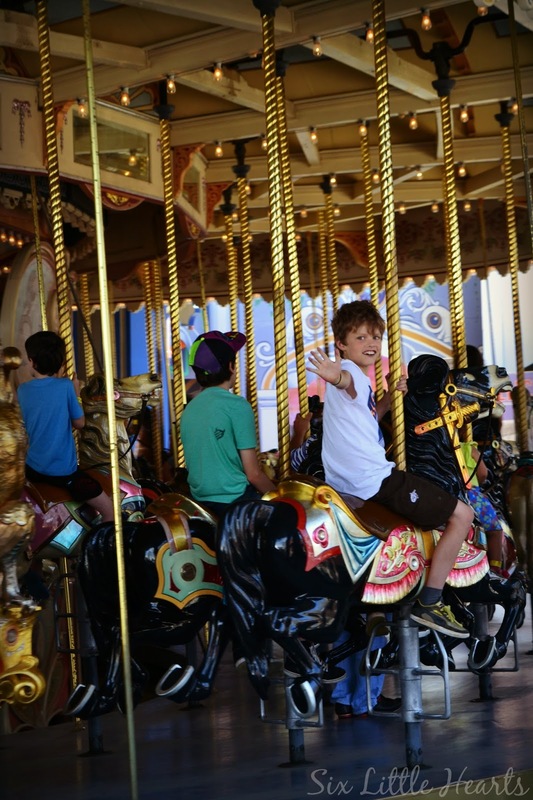 The stunningly beautiful carousel lies at the heart of the park and none of us tired of riding this. I think we had about 17 rides each! It is so perfectly preserved and looks as it must have when it first arrived on Australian shores. Today it is housed under a protective shelter to keep it in pristine condition for future generations to enjoy. 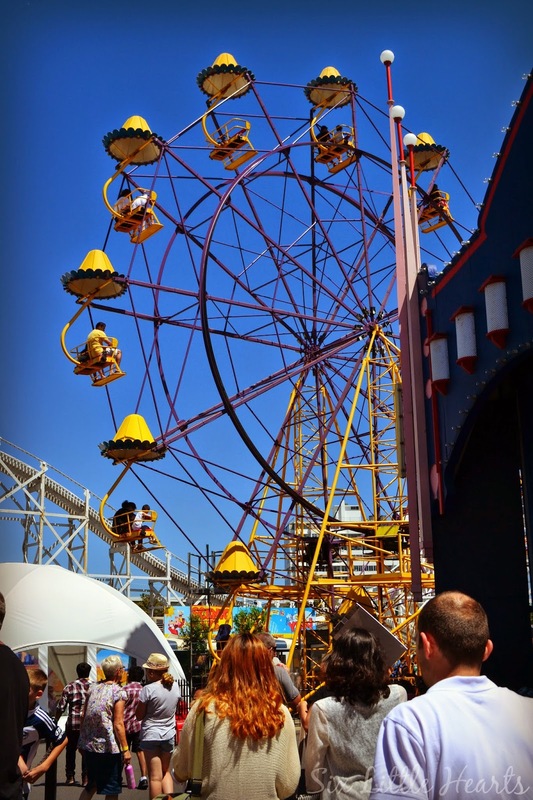 For beautiful St Kilda beach sea views and a great aerial view of the park, take a scenic ride on the Ferris wheel. 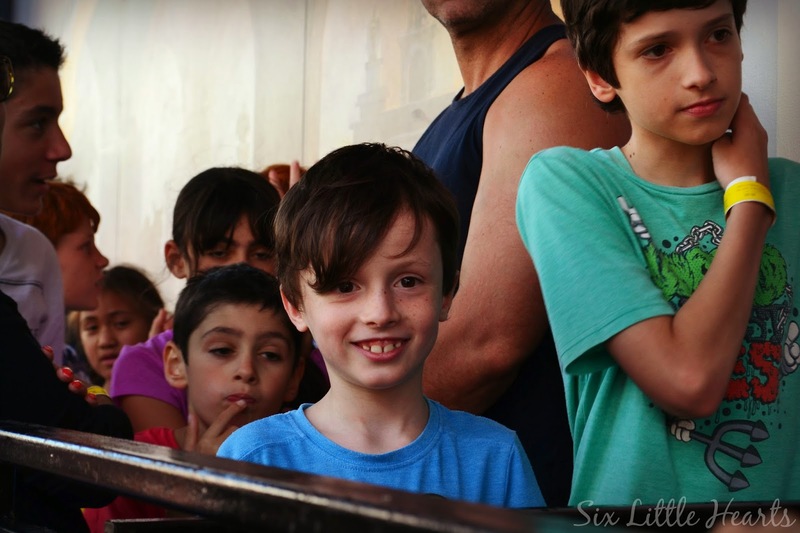 Queuing for the Ghost Train ride was all about excitement and smiles. This attraction is absolutely unchanged since I was a kid and the memories came flooding back during the ride! One thing that was knockout about Luna Park, was the professionalism of its staff and it is an aspect that I never anticipated I would be mentioning here. It does deserve mention however because the staff members at this venue, are stand-out fantastic. At one point in our day, the Ghost Train broke down for around an hour. During this time, the two people who manned the attraction never left their post and dealt with the endless stream of enquiries from the public personally, on the spot until the ride was functional again. 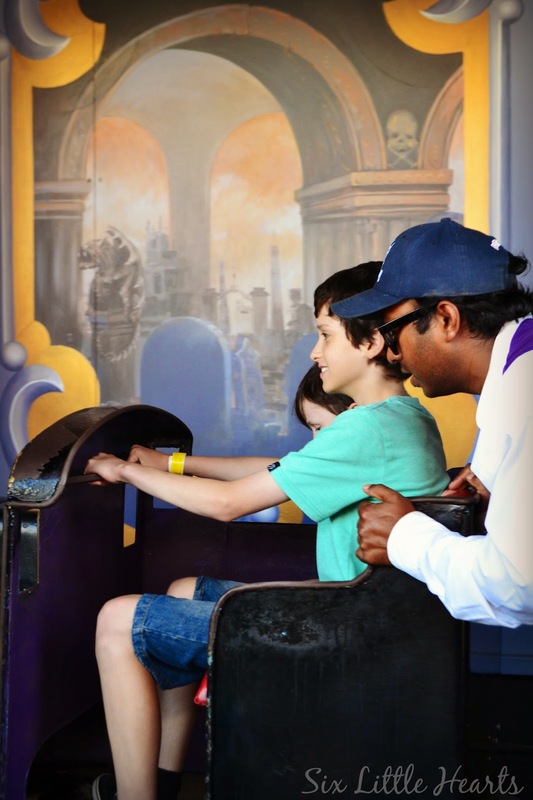 Cars on the Ghost Train ride are still given their initial entry momentum with the assistance of a good push! 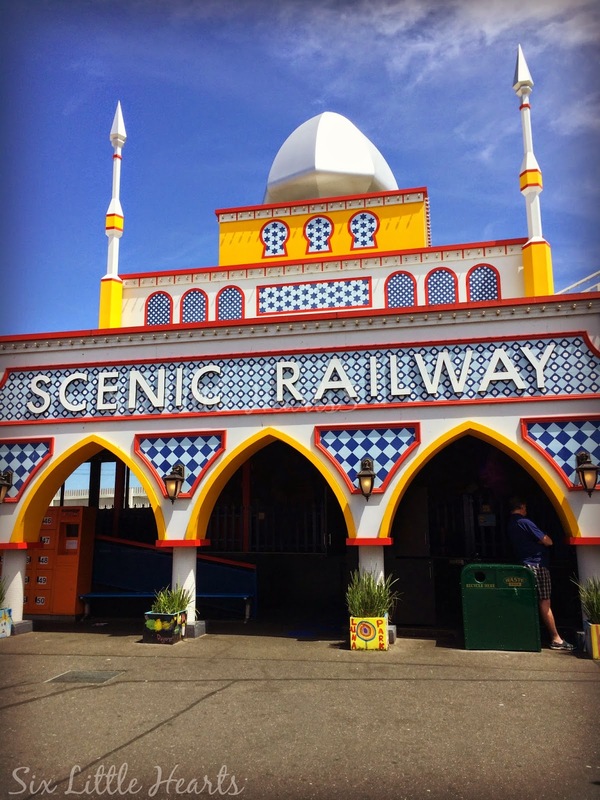 The Scenic Railway holds the distinguished title of being the world's oldest, continuously running roller coaster (established in 1912) and it is the only one of its kind featuring an on-board driver. "I can't believe I went on that!" 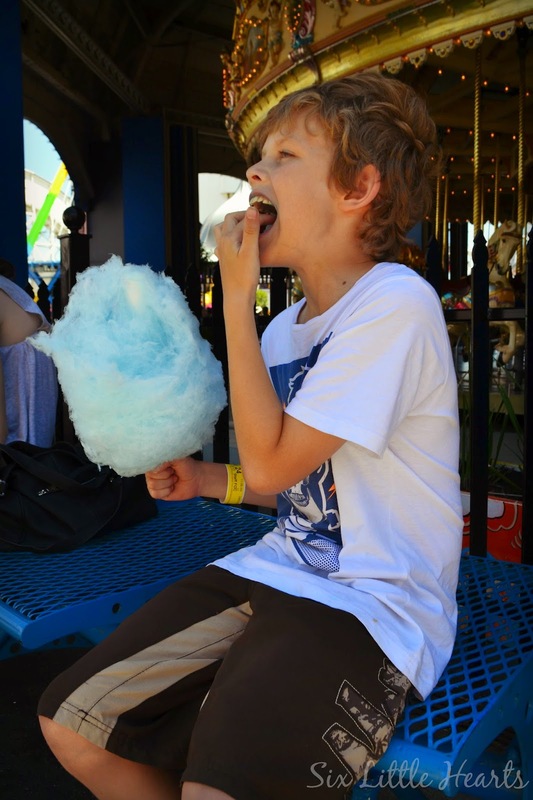 Visit Luna Park for a fantastic day out these school holidays! 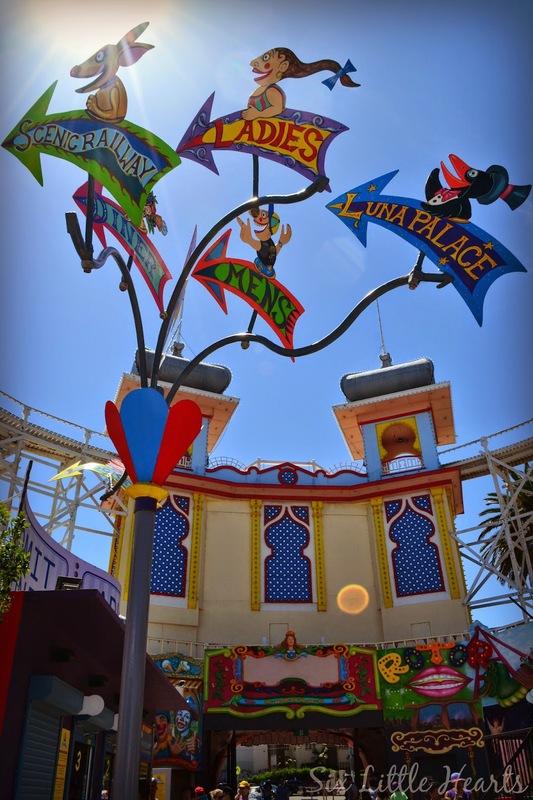 visit the Luna Park website here. These school holidays, experience Climbzilla! The all new Sky Trail Navigator Adventure Course. 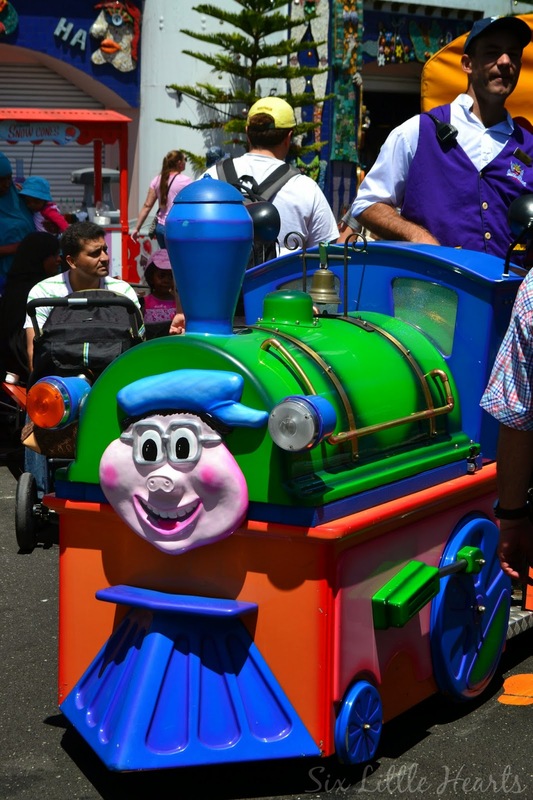 *All rides are subject to height restrictions and medical conditions. One family pass to be won valid for 12 months. Please share the love! If you know of another Melbourne family who would love to win this prize, let them know about it by sharing this post using the buttons below. Thanks for your help! Please follow Luna Park on Facebook. Please note, you must leave a comment along with your name to enter this giveaway. Residents of Victoria, Australia only for this giveaway as prize is redeemable at Luna Park Melbourne for 12 months from date of issue. Pass will be posted to the winner. *Disclosure: Six Little Hearts were happy guests of Luna Park in exchange for this feature. We had SERIOUSLY fabulous time! Thanks so much for having us! We went to the Sydney one a few years back- the atmosphere was awesome :) Your pics here are wonderful by the way! I haven't had the opportunity to take my kids to Luna Park but can remember going to Sydney's Luna Park as a child. We visited about six years ago on a family trip to Melbourne from NSW. Our middle daughter sustained a back injury the day before flying out which meant rides were out for her and the rest of the family decided it just wasn't fair, so we all decided to miss out and concentrated on the games and just having a great time. I'm heading to Melbourne on my own next month, can't wait and would dearly love to take the family with me later in the year, where we could finally case all the rides together. I have not been since I was in year 8 at school as we used to go for our end of year activity. 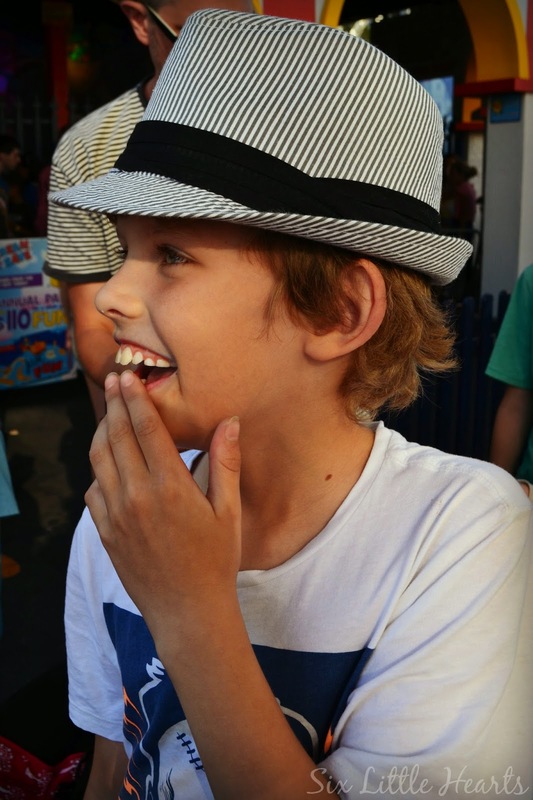 I also went when I was 12 to a friends bday at Melbourne Luna park and had so much fun! I would love to take my two girls who are 10 & 7 as they have not yet been. The kids have been but I do not recall ever having the chance to visit! So I would like to recreate the wonder of childhood and experience the fun of the 'fair' with them! I have photos taken under the big mouth but I've never been in. Now that I'm a mum I'm keen to go on the (gentle) rides and make some happy family memories. 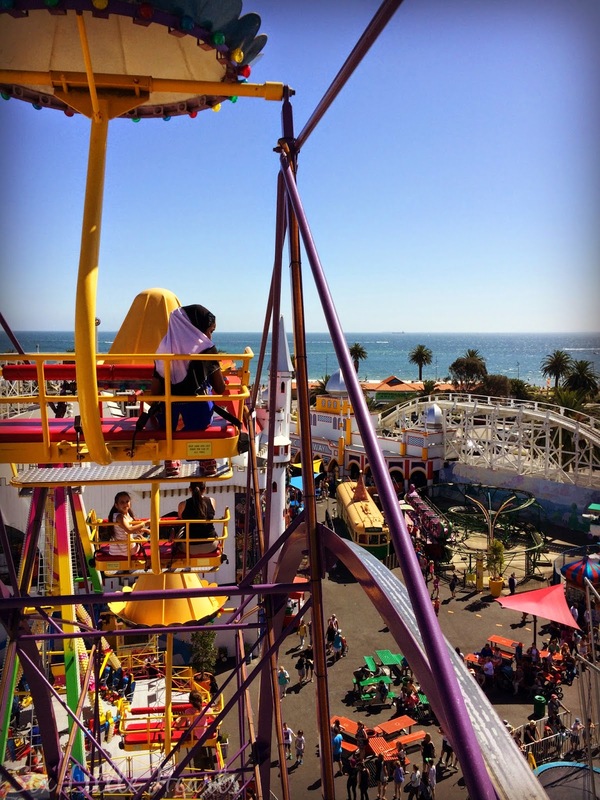 "Luna Park" as it is said "JUST FOR FUN" how true I am 81 and in my teens had so much innocent fun there, then my children, followed by Granddaughter and NOW twin Great Granddaughters at 4 are enjoying this wonderful place. 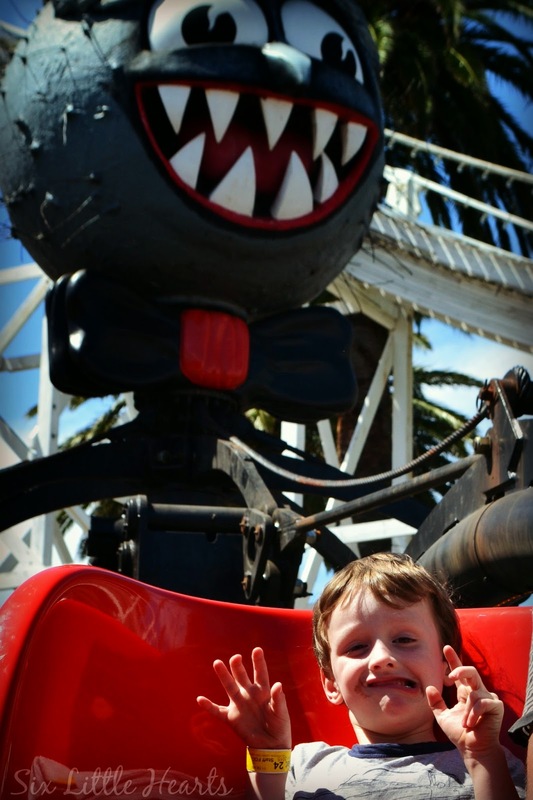 I have never been to Luna Park and living only 2.5hrs away I am not sure why I haven't taken my own children yet. Would love to take them one day, especially as it is such an iconic park and great "playground" for children and adults alike and it's in the very State I live in. Definitely on the bucket list to get to. Now is your chance Kristy - this one's for you so hope you have a fabulous time too! I will be in touch shortly. :D Thanks so much for entering. The last time I went to Luna Park was when I was a teen and I went there to see Bros! But now I have kids I'd love for them to have fun there - just yesterday my 7-yr-old said she really wanted to go there - weird, because I didn't know she knew Luna Park existed! 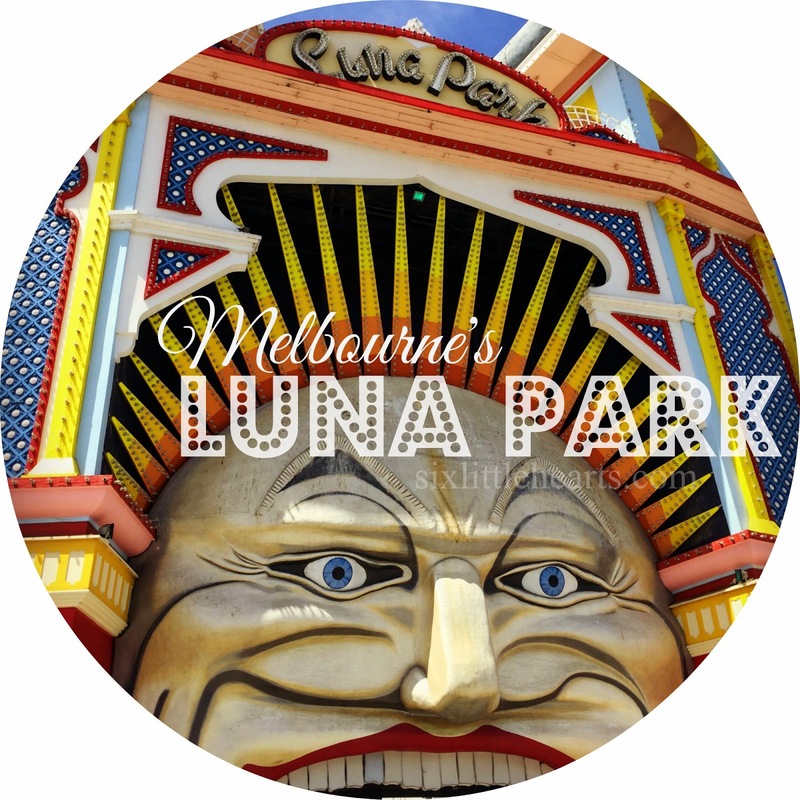 I'd love to take my 3 girls to see the famous 'Luna Park' when we visit Melbourne for the first time in June, it would be unreal. 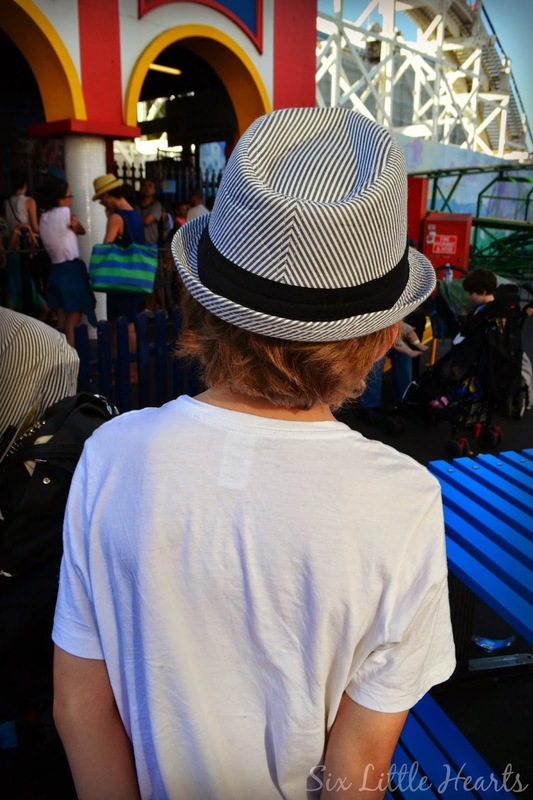 My family and I visited Luna Park many times as a child. I was always fascinated by the big smile! Loved the roller coaster the most, would love to take my kids along one day. 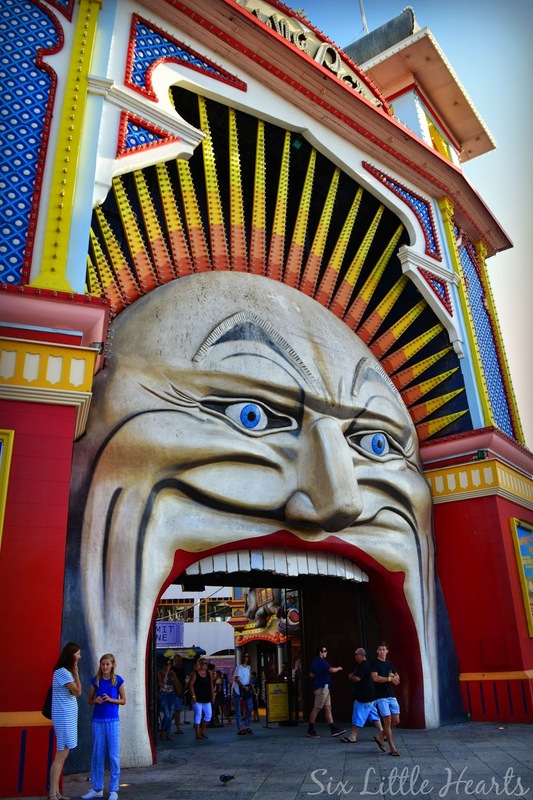 I have never been to Luna Park in Melbourne! I have walked past it a couple of times and from your picture it looks like loads of fun!!!! Would love to give it a whirl - totally love scary rides! 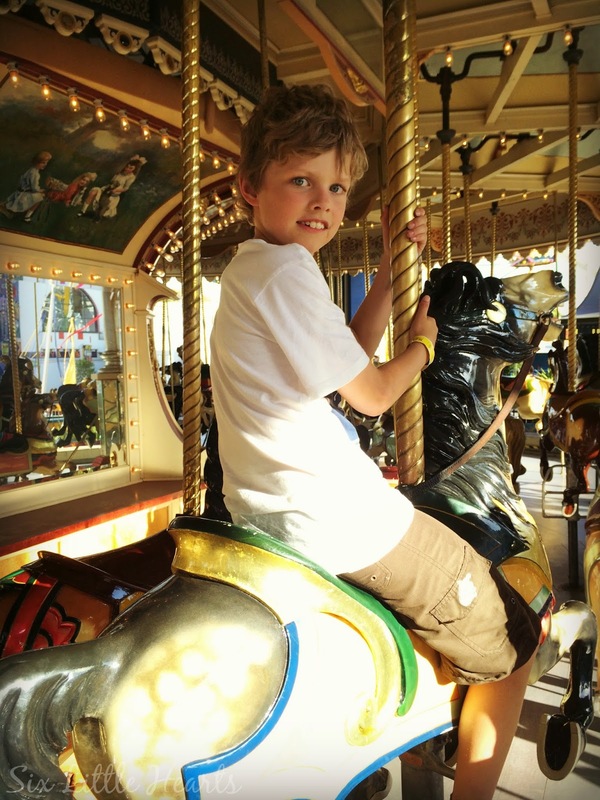 The carousel, I love watching the kids on this and it is a ride I can go on with them. It reminds when I was a little girl and my mum took me on the carousel too. I've never been so I'd love the chance to be a big kid again! The ride had come to a stop, and I wanted to run off to the next one as quick as I could, so leant forward to undo the bolt which would allow exit from the ride. Silly move, because that resulted in me propelling face forward onto the ground from about a metre up. I learnt the virtue of patience that day! Ouch - but so funny!!! I haven't been for years, would love to take my son, he's old enough now to enjoy the rides. We'd love to take our 3 year old for his first time. 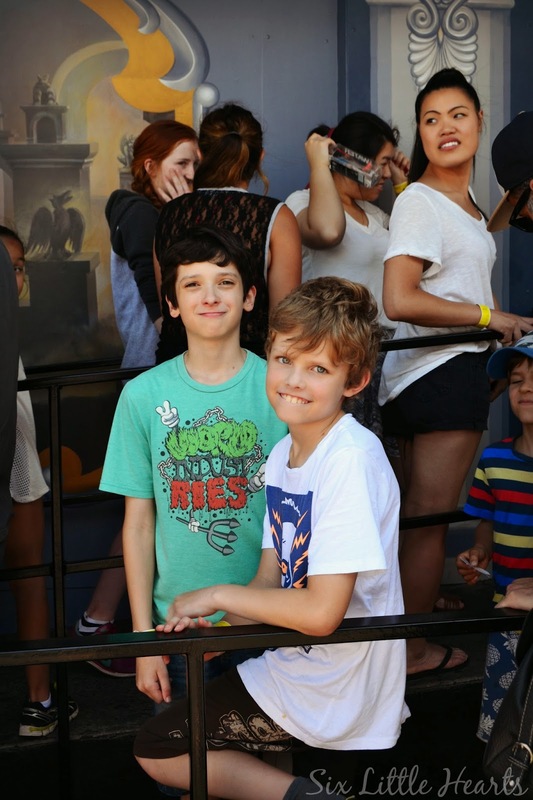 He's finally tall enough for rides!! 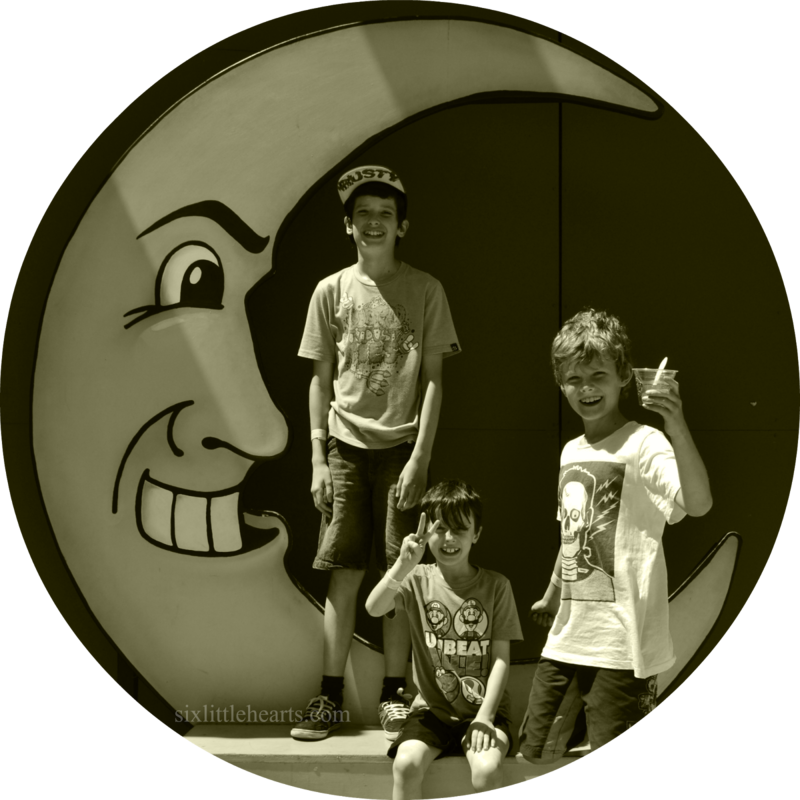 I have only been to Luna Park in Melbourne once, and the whole family loved it! I love how entry is free, and you only pay for the rides you want. I also love its location (close to the beach) and how super-friendly the workers are in there! Loved the Gravitron and Scenic Railway as a kid! Would love to take my 2 now they are old enough to enjoy! (Belinda Bee Ban) I've never been to Luna Park! I checked out Luna Parks website and FB page after reading your review and wow! have my kids been missing out on some serious fun! it looks awesome and fun for all ages too. You could spend most of the day there and then head off to the beach or Fitzroy street for icecream..it's BIG YES please from our family!